4 Why should we enter? The South African Mathematics Olympiad is the biggest Olympiad in the country. Almost 100 000 learners participated in the 2018 Olympiad. ** The first round is written in March. 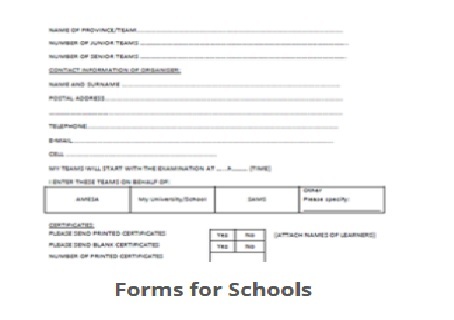 ** The junior division consists of separate papers for grades 8 and 9 and the senior division of one paper for grades 10 to 12. ** Each paper consists of 20 questions with multiple-choice answers and learners have one hour to complete the paper. ** Each school is provided with the solutions. ** For this round, the teachers mark the papers. ** Learners who attain 50% or higher in the first round qualify for the second round which is written in May. ** There are separate papers for the juniors and seniors. ** This time the grade 8 and 9 learners write the same paper. ** Learners have two hours to complete twenty questions. ** The best 100 senior and junior learners from the previous round qualify for the third round. ** It is well known that mathematics competitions generate a lot of enthusiasm and curiosity for the subject. ** This aspect of mathematics competitions is becoming more and more important. ** The school subject called “Mathematics” has recently moved more and more to what could be called mechanical calculations or numeracy. ** It is therefore very important that we continue to emphasize that Mathematics is about thinking and the discovery, and validation, of problem solving methods. ** Every participant in the SAMO papers will be challenged by at least one problem and hence his or her problem solving skills will improve. ** Problem solving skills can be further improved by carefully working through the solutions of these rounds. ** We present alternative and innovative solutions and we recommend that the problems used in our papers be used as resources for classroom discussion. ** Creative problem solving skills are very necessary and very marketable in today’s technically oriented market place. ** This market place is now global and South Africa needs to be very competitive. ** Hence we need expert problem solvers. ** Practice in problem solving will help to train our future leaders of technological development. 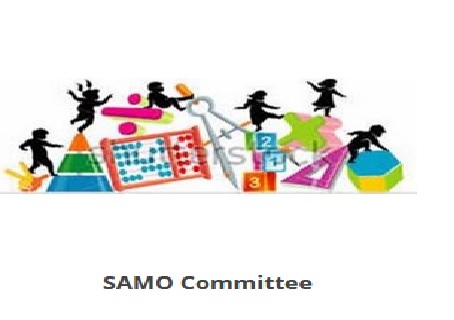 Educators are encouraged to enter as many learners as possible for the SAMO. ** E-mail entries at R22 per learner are available. ** South African schools at R32 per learner. ** South African schools with more than 100 entrants can enter at a reduced rate of R26 per learner. ** Quintile 1, 2 schools can enter up to 100 learners free of charge. ** Schools outside South Africa at R55 per learner. 1st round papers etc. will be emailed to schools, i.e. no hard copies will be posted. If a learner or Quintile 3 school cannot afford the entry fee, a written request for sponsorship must be sent with the entry form. Not more than 100 sponsored entries per school are allowed.